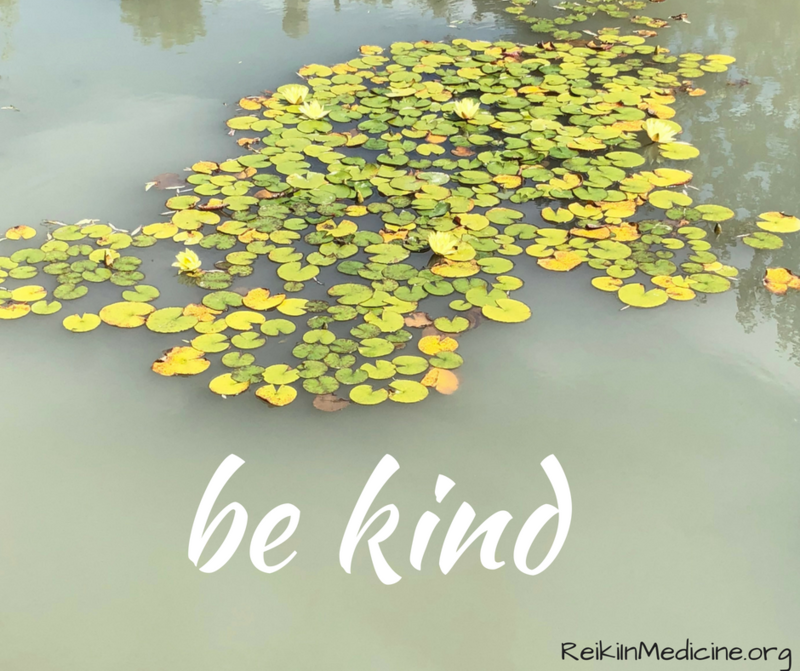 Ever notice how easy it is to Be Kind after your Reiki self practice? Or how quickly you feel refreshed when you enact the Reiki Precept to Be Kind? It’s an invisible and oh-so-potent inner Reiki self practice (hands-on optional). Kindness has been shown scientifically to contribute to your happiness and have a range of positive benefits. It can change neural pathways for the better and might even help you live longer. Reiki founder Mikao Usui referred to the Reiki Precepts as the Secret to Inviting Happiness. Have you noticed how contagious happiness is? We start the happiness contagion with self practice. First yourself, as Hawayo Takata famously said, not only makes us happier but also helps protect us from being a hypocrite or camouflaging our anger as righteous indignation. Self practice starts with us and extends from there, like the proverbial pebble in a pond of kindness. Isn’t that a more uplifting image than the images so many current headlines often bring to mind? Let’s become a global community of deliciously defiant happiness warriors enacting a kindness (r)evolution! Are you in? There are many ways to join us and they all start with Be Kind. 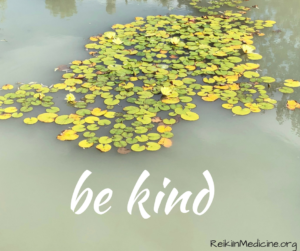 Be Kind and then share below how it shifted your day towards happiness. Or post an image on Instagram with #ReikiPrecepts #MikaoUsui #InvitingHappiness. Like this Facebook post, then share or post one of your own and tag Pamela Miles: Reiki, Medicine & Self Care. And share share share kindness, with love and respect for yourself, for others, and for all that is. Would you like to receive 21 days of free emails reminding you to be happy now? Sign up here and check your inbox. 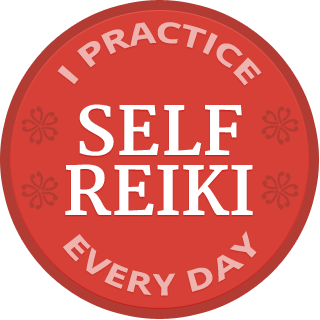 Do you want me to let you know when I schedule my online Reiki Precepts retreat? Click here and I’ll send you an email. Kindness and healthy, compassionate boundaries go hand-in-hand. We’ll explore boundaries as a spiritual practice at my BLESSED BOUNDARIES retreat at the beautiful, bucolic Omega Institute in Rhinebeck, NY October 6-11, 2019. Reiki & Medicine Intensive in New York City April 12-14. 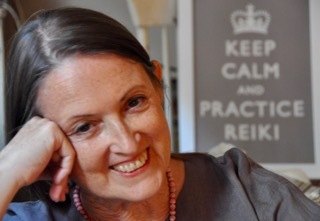 I’ve been leading Reiki Precepts retreats for many years and am creating an online version. Of interest? Click here and I’ll let you know when we schedule. Or join me for a one-day retreat in Toronto Sunday, May 26, 2019.